A number of video screens here progressively show what it was like to work in the creature shop, cleverly leading you from one screen to the next. 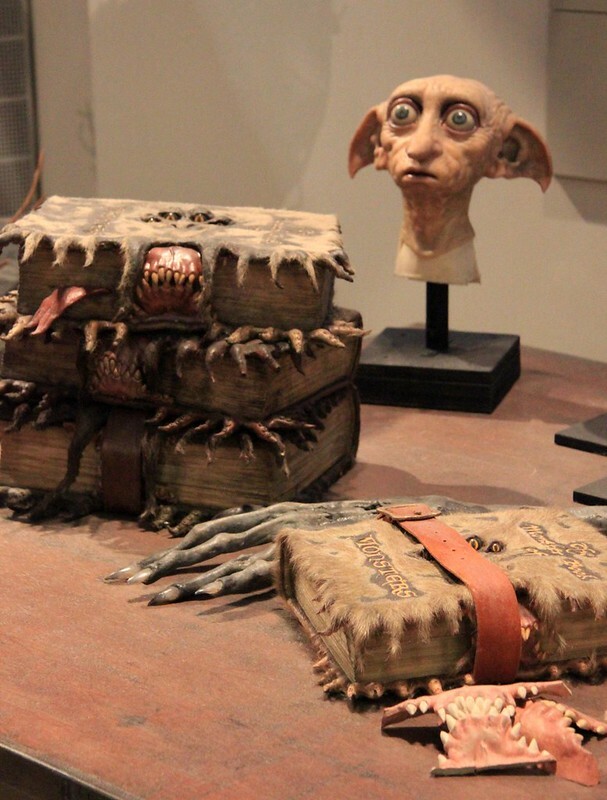 Creature Shop artisans transformed many cast members into magical beings like goblins, werewolves and even the Dark Lord himself, using applied makeup pieces called prosthetics. The Art Department provided the Creature Shop with initial sketches and drawings of each creature and character. From there artists transformed the images into three-dimensional models called maquettes. Once the designs were approved, makeup appliances were sculpted to fit the performers. Models of actors’ mouthes, heads, arms or entire bodies were cast which artists used to create and test new prosthetic pieces. Multiple copies of each prosthetic were made from silicone or foam. Then, makeup artists carefully glued each piece to cast members’ heads and bodies, a process that took just a few minutes for Voldemort’s eyebrows and up to three hours for a Gringotts goblin. Because of the hot lights in the studio and actor movement, makeup artsits were standing by on set to touch up smeared lightning bolt scars, broken goblin ears or crooked teeth. Image published by Karen Roe on 2012-07-08 12:23:17 and used under Creative Commons license.